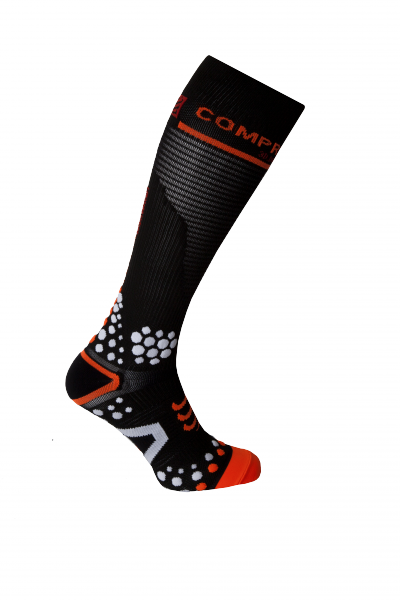 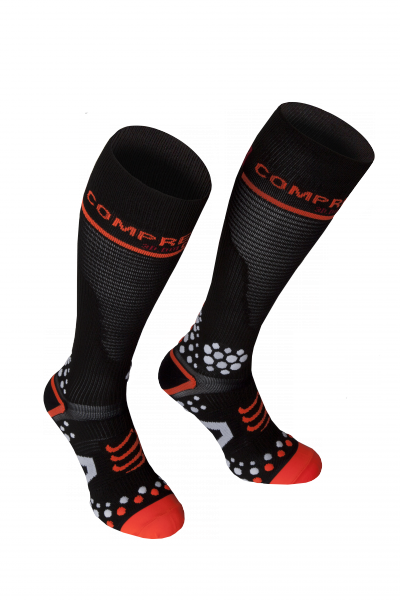 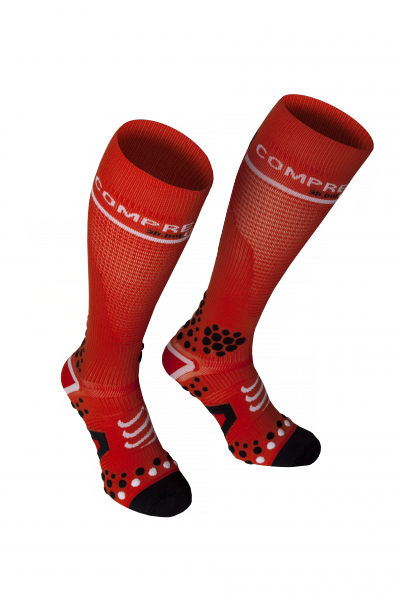 FULL SOCKS V2 benefit from the wealth of experience and all the innovations developed by COMPRESSPORT over the last 4 years. 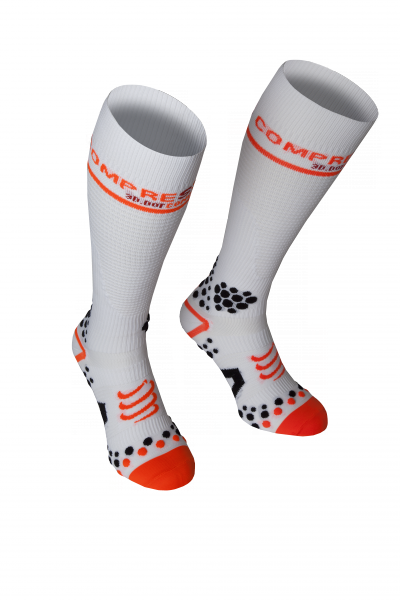 The FULL SOCKS V2 are medical quality graduated compression socks. 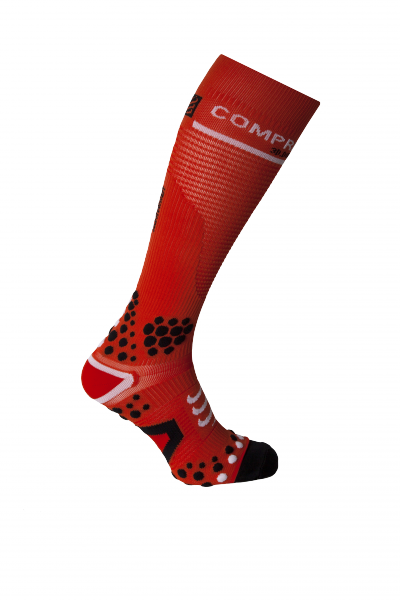 FullSocks V2 are the result of tireless research work, and they were the subject of a doctorate thesis. 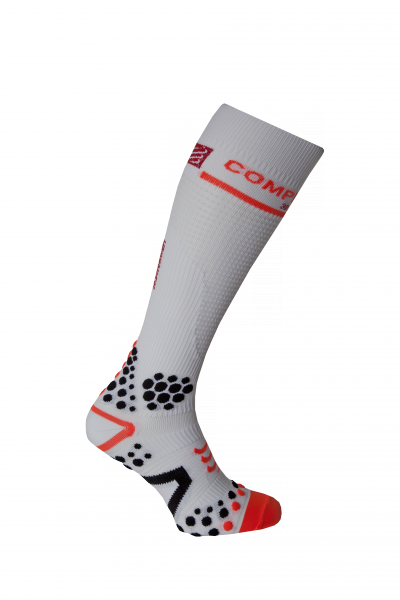 3D.DOTS have been added to the inside of the malleolus to absorb shocks.